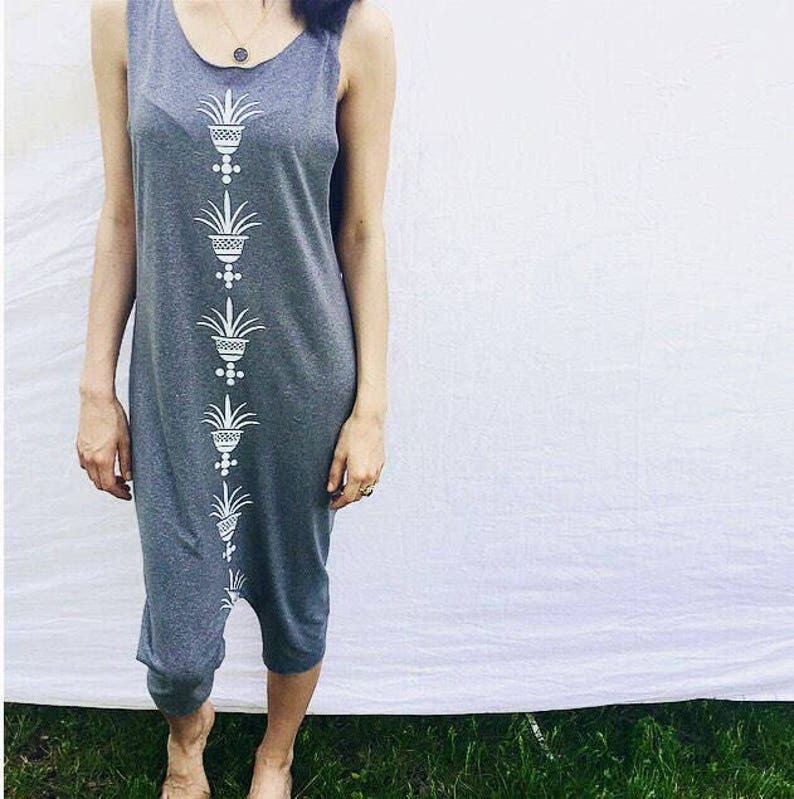 Super soft, stretch heather grey cotton jersey with Palma Eco Print. Unisex Design. Great for lounging or dressed up. Handmade & handprinted with Eco friendly inks. Made to order.